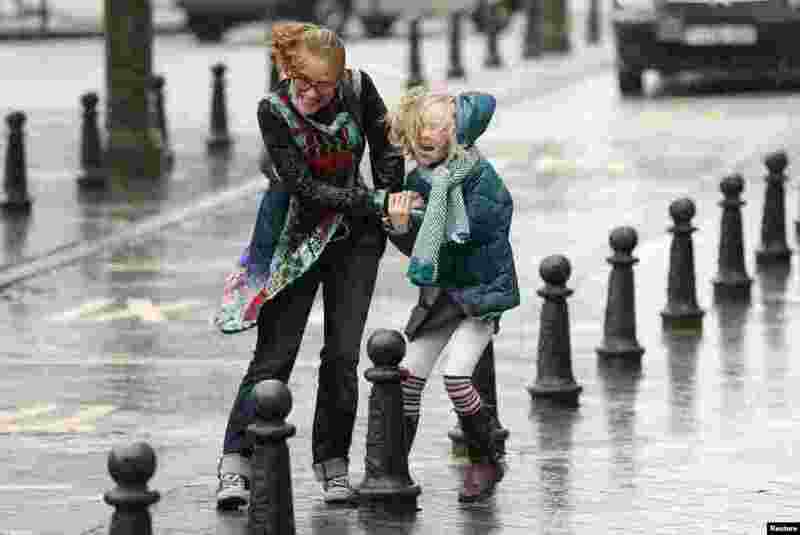 1 A woman and her daughter struggle against strong winds and rain in central Brussels, Belgium. According to local media, the winds could reach speeds of over 100 km per hour (62 miles per hour). 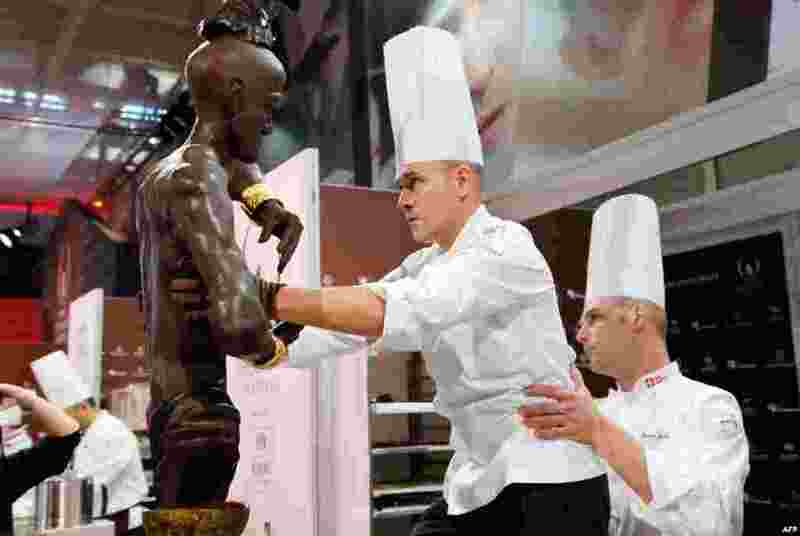 2 Swiss pastry chef David Pasquiet (C) prepares a chocolate creation during the 'World Chocolate Masters' contest at the Paris chocolate fair (running from October 30 until November 3). 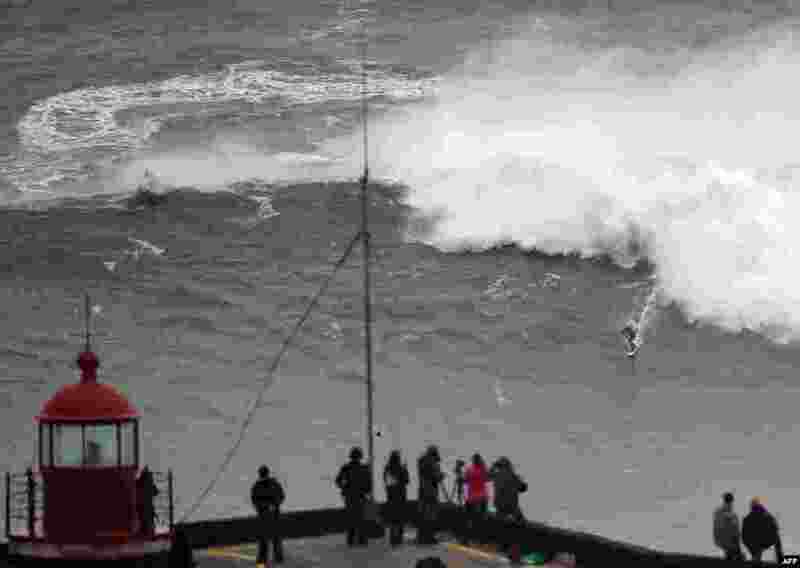 3 Brazilian big wave surfer Carlos Burle rides a wave in Nazare, central Portugal. 4 Models wearing collections of previous editions of the Sao Paulo Fashion Week, stand inside a subway station in Sao Paulo, Brazil, Oct. 27, 2013.